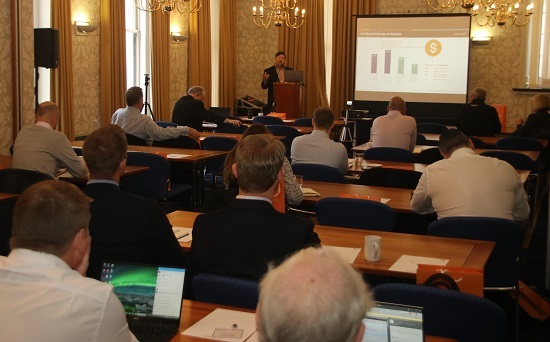 A wave of change will hit the managed service sector in the next period and SolarWind MSP is investing to support MSPs in a period of great change, MSPs at a London meeting were told. MSPs have to find new ways to differentiate – being in business a long time is not what customers want now, and new technologies will change what is on offer and what customers want. Computing has changed – the computer often now a phone – so it is not the form factor – desktop, server, device - but what it does. “IT service providers often fall into default thinking of supporting desktops and services/components – but it is more than that. All the top trends have nothing to do with form factors – smart devices, user experience, autonomous agents – this is what tech is about now. 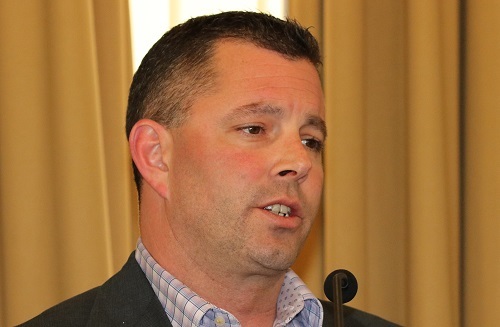 As Solution Providers we have to focus on the new environment and the opportunity around that,” he says. There will be lots of opportunities – information matters more than machines. “So I don’t think about the machine - I think about the data – MSP customers want to know how to get to the data and work with it in better ways. We are on the cusp of new data driven business now that we can tie it all together. Looking at solution providers and data-driven statistics, we see that while 44% of firms say they are data driven, only 8% have data driven processes, even though those that dive into this area are seeing 100% plus returns. 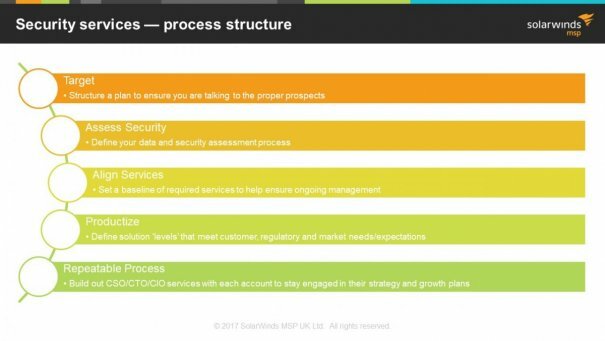 SolarWinds MSP is currently looking seriously at analytics and how to make it work for better outcomes. Security is the last item but is on everyone’s mind – it is by far the area that is dominating discussion because most people don’t have answers. And there has been an evolution in national thinking – The US now has a cybercrime force alongside its other armed forces; organised criminals have displaced hackers who were once specialised individuals. It is automated and aims to collect incidents as a volume game. Non-experts tell the customer to use antivirus, adopt strong passwords and make them change passwords often, plus “Only go to sites you know; don’t share personal information”. These are out of line with a proper security positions. Actual experts say “install software updates and keep them updated .... and rermove admin rights from almost everyone". “You are going to be breached – it is just a matter of time. There are two types of customer: those that have been breached and those who don’t know they been breached. At least the time to discover breaches has fallen - from 240 days to 70 days, but this still means the incident is past-history.” This is the hottest area in the market – clearly the area where customers need answers and SolarWinds MSP is thinking about a ‘Layered approach’ to protection and resolution, he concludes. David Weeks (above), Senior Global Sales Manager at SolarWinds MSP, says that this layered approach for MSPs means that they can better target and structure the qualified buyers to discover who are the best potential candidates for a sale – and who should be removed as a target! “You have to be prepared to walk away from the business or you end up taking all the risk in an un-managed environment,” he warns. To do an assessment on security, remember that customers all look at data differently – it could be financials, process or just unstructured information and there will be a back-up system. “This approach should allow you to walk into an environment in a non-intrusive way. You are aiming to get a level of confidence about the risk and deciding whether you can and want to do anything,” he says. The approach is to say to the customer: “Let me be a third party – it is a great way to displace a supplier, by the way - do an assessment and report back”. Security has four areas: infrastructure, data, risk management and identity, within these there are a lot of services such as aspects of end-point authorisation – it all depends on the customer and what level the service provider wants to go to. “Most businesses believe that everything is taken care of – but the assessment shows vulnerability – so we have to take the business across this chasm.” Do the security assessment and award a pass/fail or conditional which defines the level of service. The first layer is protection, then detection – see what you are missing, then comes analyse and manage as a true back-up. Recovery- the final level- is getting towards advanced cyber security. “Anyone on your security programme must adhere to it.” They need to understand what they can do and how because of the level of risk. And they must use only your products where your engineers have been trained and are experts on the small subset of the large number of products out there. “It needs to be repeatable business; you are in it for the long term; entrench yourself in their business so that you become part of their processes,” he concludes. Francesco Dibartolo, Head of MSP Distribution Sales EMEA at SolarWinds MSP looked at the scale of requirements that customers are looking for. At the basic level, clients want to use “best of breed tools to solve everyday IT problems, with simple, fast, reliable and easy to use products and cost effective technology”. So that is the base line; growing managed services businesses want to consolidate tools to increase efficiency & profits as contracts move from a reactive to a proactive model. In this way a recurring revenue is created, and it becomes more profitable for the MSP, he said. Finally, mature managed services businesses are looking to: automate processes to maximise profits, eliminating risk and cost through Monitoring, Automation and Security. With this in mind, he highlighted the ability to find vulnerable data with SolarWinds MSP Risk Intelligence, a SaaS platform with a cost-based risk assessment, sensitive data discovery, OS & Application vulnerability scanning, delivering risk trending reports showing value and Inappropriate access visibility.